Get WiFi access in Japan wherever your itinerary takes you! easy to use. stable network. should improve counter service standard! 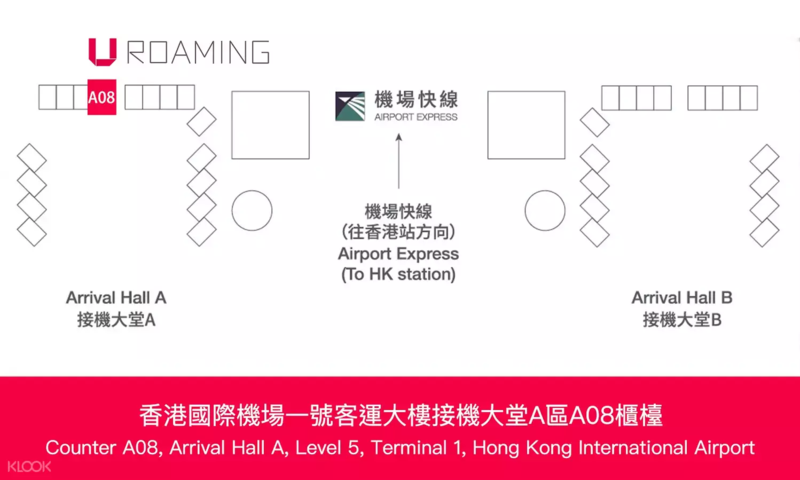 Its less hassle just pick it up at HK airport before your flight time. Just have HK$500 deposit but can be refunded once you give it back with no damage. It was very useful and the connection is fast as well. We were able to use it whole day without getting it drained. We gonna use it again when we travel again somewhere. Its less hassle just pick it up at HK airport before your flight time. Just have HK$500 deposit but can be refunded once you give it back with no damage. It was very useful and the connection is fast as well. We were able to use it whole day without getting it drained. We gonna use it again when we travel again somewhere. Easy to pick up & return at Airport, even at night time, we can just drop to the collection box. Battery was full when handed over to us so that we can use immediately. Perfect reception when we were at urban areas and the rural ones, even uphill at Mountain. Competitive daily rates, highly recommended!!! Easy to pick up & return at Airport, even at night time, we can just drop to the collection box. Battery was full when handed over to us so that we can use immediately. Perfect reception when we were at urban areas and the rural ones, even uphill at Mountain. Competitive daily rates, highly recommended!!! this is not the first time to use the services. It works well and that's why I will keep using it. The life of the battery has improved it can last for 8 hours before it needs to be recharge. this is not the first time to use the services. It works well and that's why I will keep using it. The life of the battery has improved it can last for 8 hours before it needs to be recharge. A 4G device was used this time traveling to various locations in Fukuoka. As in previous experiences Uroaming provided excellent uninterrupted service throughout the trip, from downtown Fukuoka to Aso to Kokonoe to Yufu. It’s a bargain and strongly recommended. A 4G device was used this time traveling to various locations in Fukuoka. As in previous experiences Uroaming provided excellent uninterrupted service throughout the trip, from downtown Fukuoka to Aso to Kokonoe to Yufu. It’s a bargain and strongly recommended. The WiFi signal is strong during the trip and the power is enough. Will continue to use next time. The WiFi signal is strong during the trip and the power is enough. Will continue to use next time. Easy to pick up and use. Battery lasts for almost a full day (10am to 8pm). Easy to pick up and use. Battery lasts for almost a full day (10am to 8pm). Good service and great battery life. Good service and great battery life. Good service and great battery life. Good service and great battery life. Good service and great battery life. Good service and great battery life. it's very convenient. small and compact, it fits in your palm. it is also very easy to use. I'm very satisfied. it's very convenient. small and compact, it fits in your palm. it is also very easy to use. I'm very satisfied.